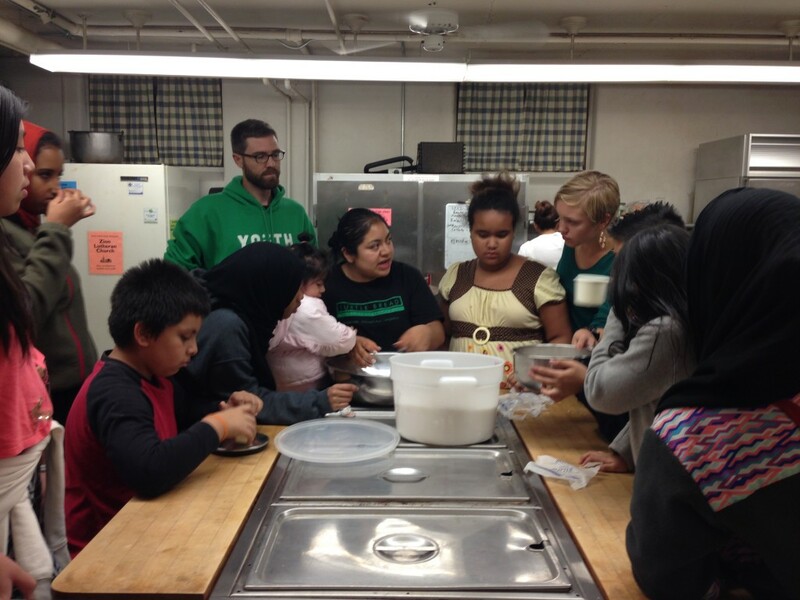 Lyndale Youth Farm parents and community members hosted a group of Youth Farmers last week at the Turtle Bread Bakery. 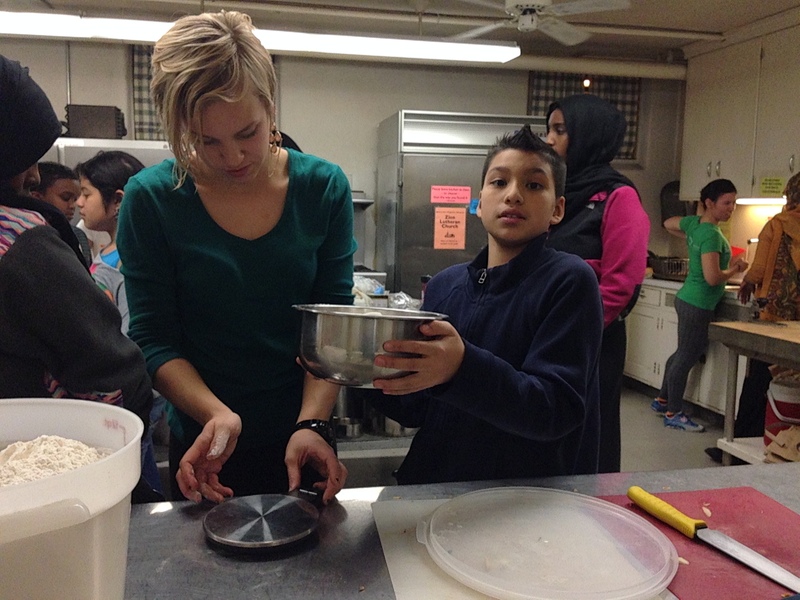 The parents work at the bakery as pastry chefs and cake decorators. 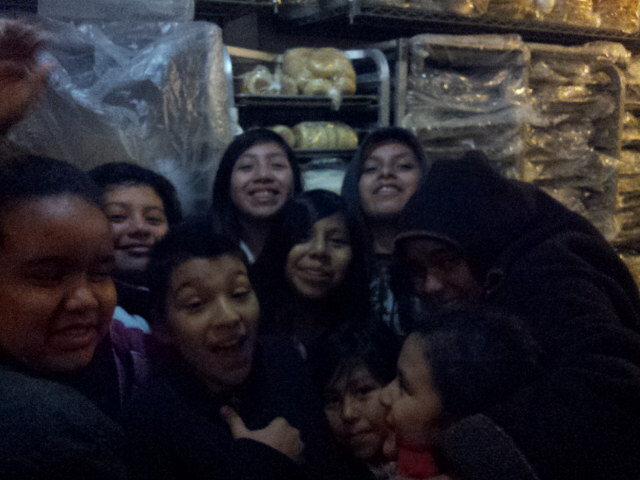 Our youth were most excited to check out the giant ovens and walk in fridges, not to mention the really delicious cookies Turtle Bread shared. 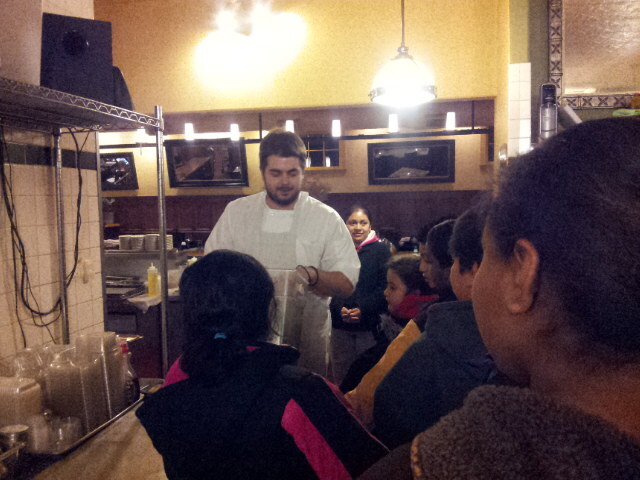 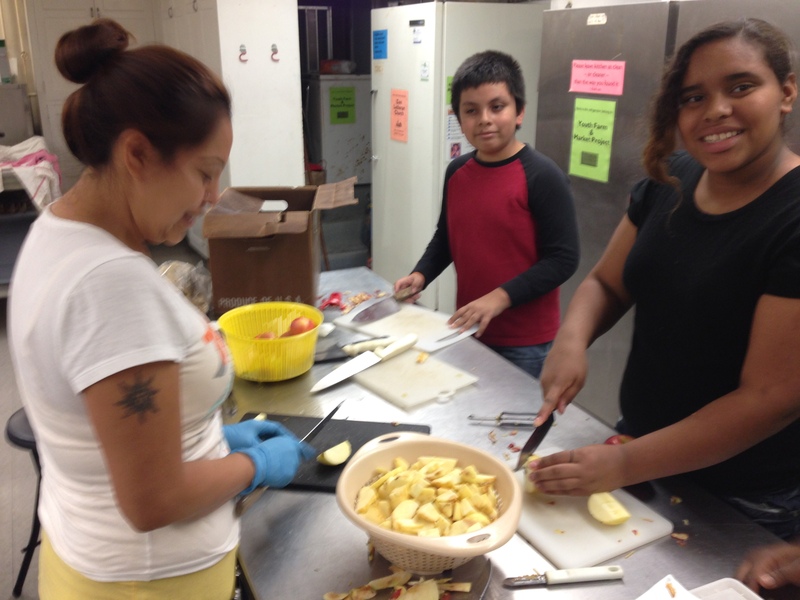 After the field trip the parents showed our youth how to make apple tarts, using our apples too! 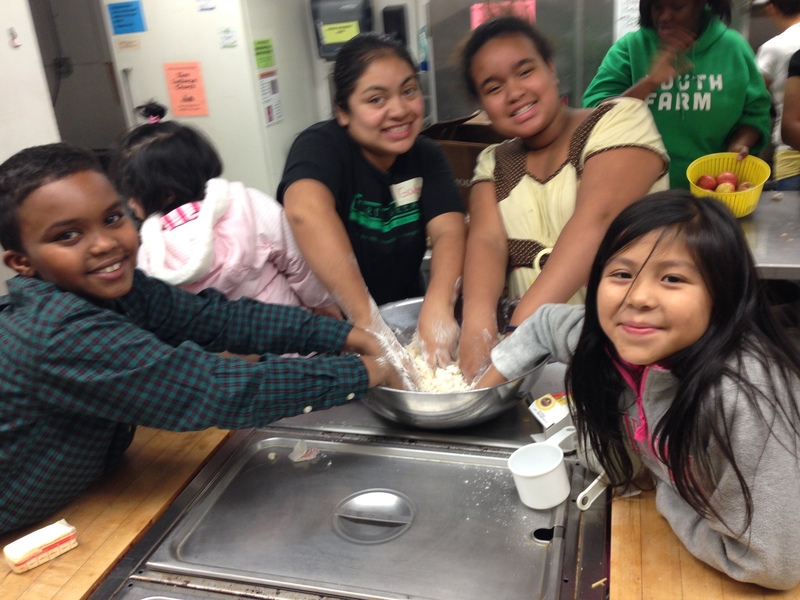 Mixing the flour with Mohamed, Gabby, Mickey, and Gabriela. 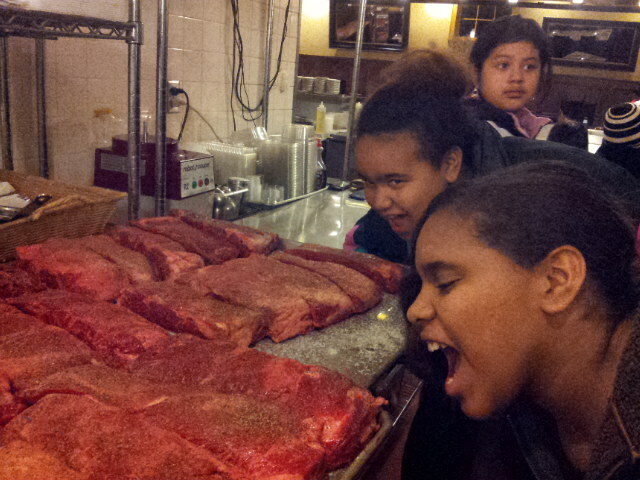 Kayla Sherod liked this on Facebook.